Our dinosaur themed reading material for the New Year gets off to a cracking start with the arrival of the latest instalment of “Prehistoric Times”, the magazine for fans of prehistoric animals and dinosaur model collectors. Issue 120’s front cover showcases the remarkable artwork of British palaeoartist John Sibbick and the dramatic image is a foretaste of the exciting contents as this latest edition of the quarterly magazine is packed full of fantastic artwork and articles. Renowned palaeontologist Kenneth Carpenter (museum director of the USU Eastern Prehistoric Museum in Utah), has penned a highly informative feature on a new type of Stegosaur from the Morrison Formation (Alcovasaurus longispinus). The copy includes a skeletal reconstruction of this long-spined, short tailed member of the Thyreophora by Gregory S. Paul, look out for an in-depth article on Gregory S. Paul’s second edition of the excellent “The Princeton Field Guide to Dinosaurs”, a book that Everything Dinosaur team members have been fortunate to review. “Prehistoric Times” editor, Mike Fredericks provides further insight and Greg has written an article giving readers an inside track on how the second edition came together. 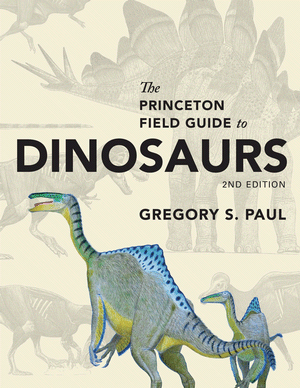 The Princeton Field Guide to Dinosaurs (second edition). Phil Hore provides the information on the two featured prehistoric animals that grace the winter issue (Toxodon and the Theropod Concavenator). Look out for some splendid reader submitted illustrations, the mother and baby Toxodon sketch by Clinton Harris being our personal favourite, although Ryan McMurry’s aggressive looking Concavenator runs it close. Check out the illustration of Concavenator on page 16, as well as the Ceratopsian sketches that accompany news about new CollectA models for 2017. Eagle-eyed readers may well recognise these illustrations from Everything Dinosaur’s own fact sheets. Tracy Lee Ford focuses very much on the Theropoda with an examination of the jaw mechanics of big meat-eating dinosaurs. 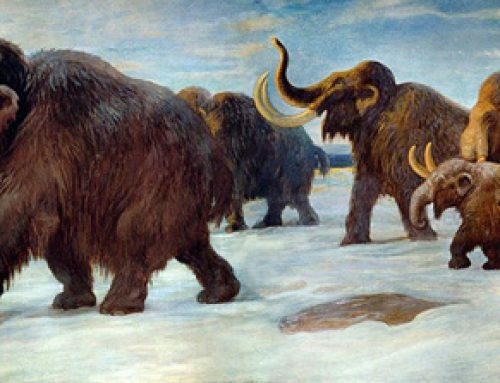 Tracy informs us that this article is his 98th contribution to “Prehistoric Times”, we look forward to celebrating Tracy’s centenary of prehistoric prose – look out for this in issue 122! American Steve Brusatte, based at the University of Edinburgh, has produced a beautifully composed piece that reviews the big dinosaur palaeontology news stories of 2016. It’s a fantastic summary and it is great to see the likes of Dracoraptor included, a new Early Jurassic dinosaur discovered by brothers Nick and Rob Hanigan. Look out for the explanation for the survival of birds put forward by a team of scientists led by Derek Larson (University of Toronto), seed eating may have helped the Aves survive the Cretaceous mass extinction event! John Lavas continues the series of articles on Zdeněk Burian, the Czech artist and book illustrator, regarded as one of the pioneers of scientific illustration. In this edition, the focus is on Palaeozoic fishes and invertebrates and a number of Burian’s wonderful illustrations adorn the pages of “Prehistoric Times”. Life in the Cambrian by Zdeněk Burian. “Prehistoric Times” issue 120 also includes articles on the Marx model series, the role of music in prehistoric animal movies (the Sound of Mesozoic), more wonderful examples of John Sibbick’s artwork plus news on the latest models and kits.